Rare Romeo Rega table lamp made of thick, heavy solid brass. Enameled in a red wine tone with a high gloss lacquered finish. E27 socket rated at 100 watt. Shade come with order. 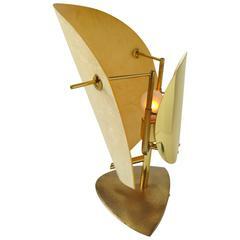 Masterfully crafted mouthblowed lighting artpiece with a superb swirl pattern. 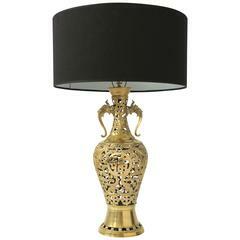 Provide a warm glow while lighted. One regular E26 size lightbulb rated at 60 watt max. 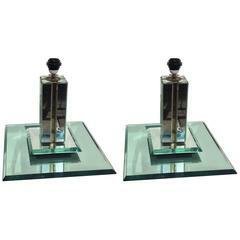 A pair of vintage table lamps in mirror divided by brass in the middle on large mirror base by Romeo Rega, Italian, circa 1960s. 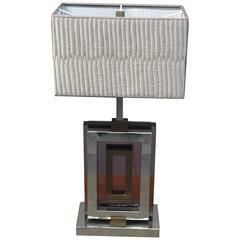 Chrome and light purple vinyl with brass details table lamp. 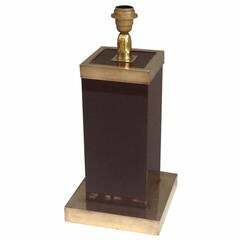 Signed Romeo Rega on the base. 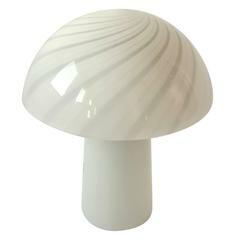 Silk shade (measure cm. 36x20). 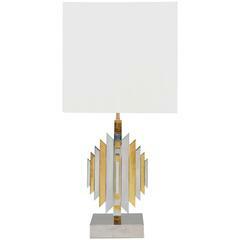 Elegant table lamp signed by Romeo Rega, in "faux-marbre" acrylic and brass.